For every blog, there is a particular tool that runs it. 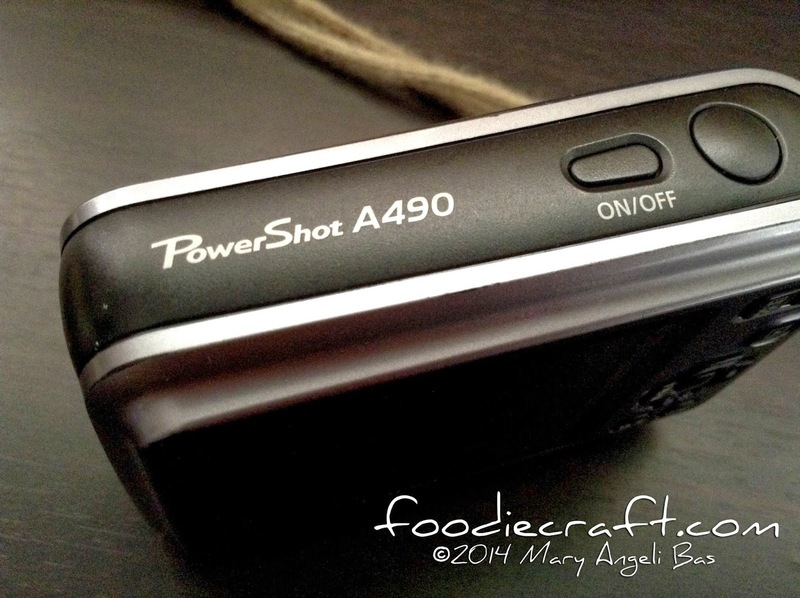 In the case of Foodie Craft, it's my point and shoot camera, the Canon Powershot A490. 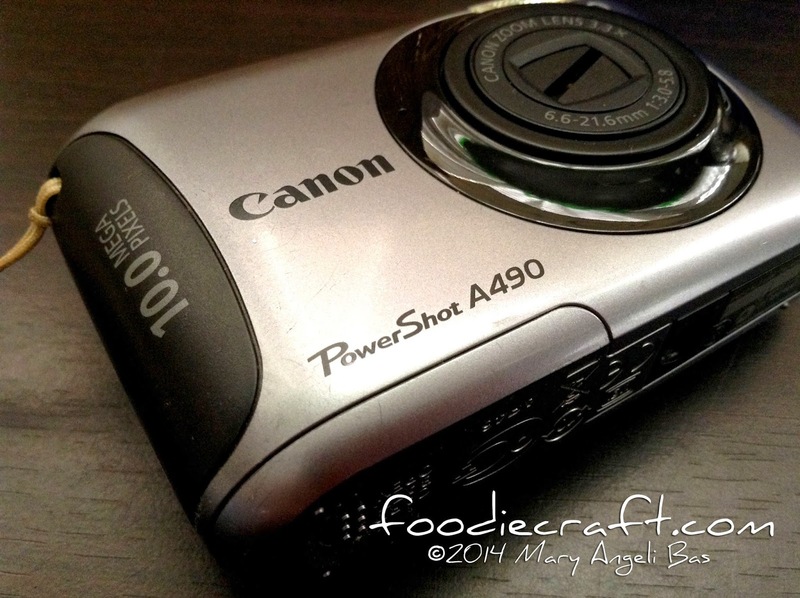 My Canon Powershot A490 is the very first device I bought using money from my own work. I bought it for the sole purpose of starting a food blog a few years back. Having said that, I bet you now have a clue as to how important my camera is to this blog and to me. I studied and practiced everything about my device the very first day I got it. Since then, I continued to improve my skills in handling it as well as taking care of it. It always makes me happy and proud whenever people compliment the shots I post in this blog. A lot of people would always ask me what kind if DSLR I use in capturing pictures for Foodie Craft. Flabbergasted, I always flash a big smile and surprise people, saying that it's all from a point and shoot camera. 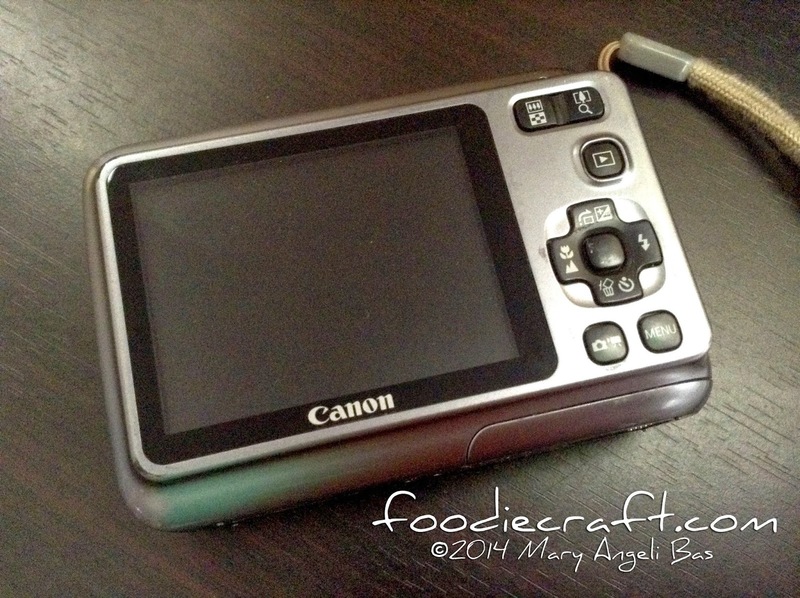 Last December 2013, my Canon Powershot A490 broke down. It didn't really take a while for me to get over with what happened. I believe that it is so because I know that it has served its purpose; actually, to me, it delivered more than I hoped I could use it for. Another reason is that I have been thinking for quite some time already that I needed to upgrade my camera. After two months, I bought a DSLR. I made a photoblog dedicated to it. You can check it out here. As an amateur DSLR shooter, I hope you'll shed some patience and consider commenting constructively with my photos. I'm crossing my fingers that I will be able to capture photos that'll be better than the ones I had already taken using my point and shoot. 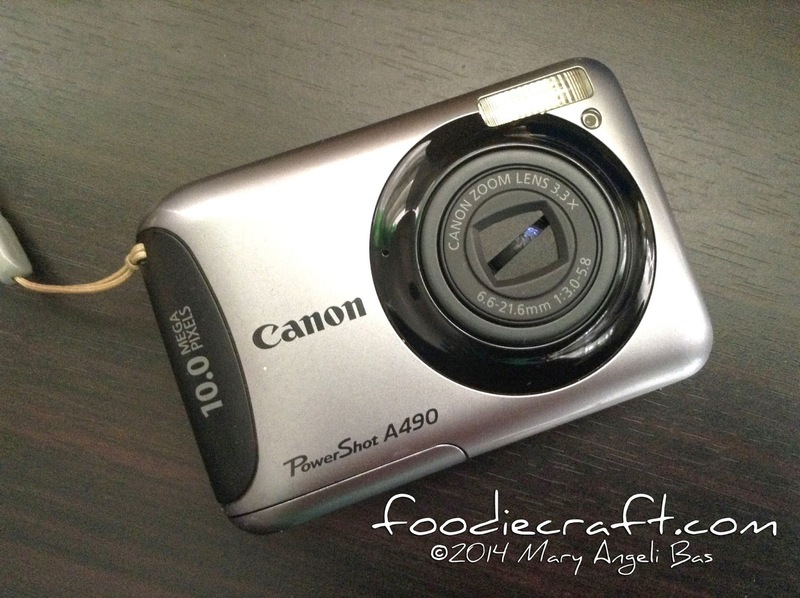 Hurray for more food photography adventures here in Foodie Craft!